It seems like barely a week goes by without a trip to revolutionary France and today we are there again, this time to meet the lady known as Princess Élisabeth of France. 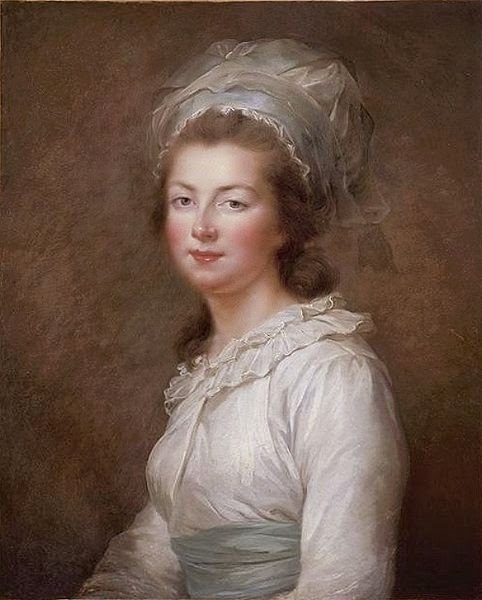 Known as Madame Élisabeth, she was a loyal and loving sister of Louis XVI and remained with the doomed royal family to the very end. Élisabeth birth was a far cry from the sad scenes that would close her life and she was born at the Palace of Versailles, daughter of Dauphin Louis and Marie-Josèphe of Saxony. 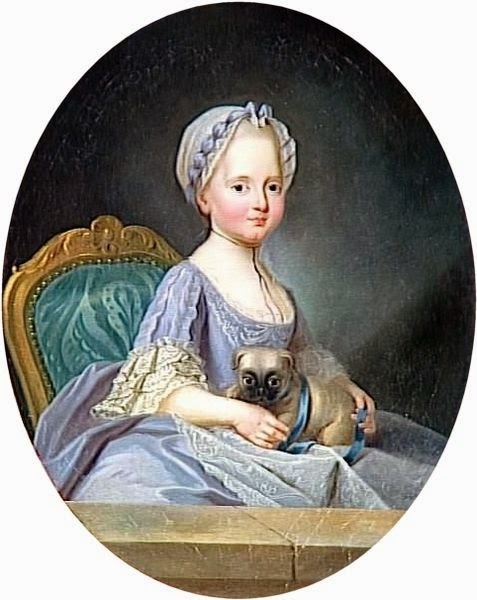 Orphaned at the tender age of two, the little girl and her sister, Madame Clotilde, were raised Marie Louise de Rohan, comtesse de Marsan. Under Marie Louise's tutelege they enjoyed an excellent education and Élisabeth soon showed herself to be a highly skilled artist as well as a pious young lady dedicated to her faith and family above all else. 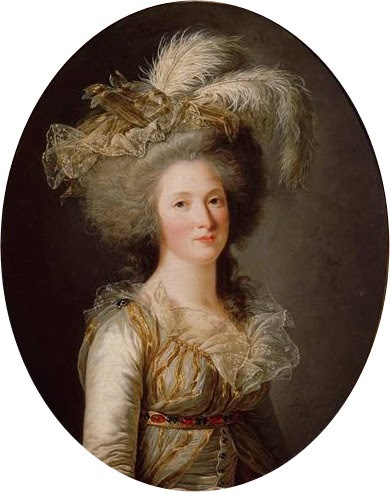 The thought of leaving France was one that the young Élisabeth refused to countenance and as a result she rebuffed discussions regarding a possible marriage to Joseph II, Holy Roman Emperor. Instead, Élisabeth remained with the family she adored and she held true to this even when Revolution swept through France urging her brother to put down the people by force. A passionate defender of the French monarchy, she wrote a letter to her brother, Charles-Philippe, comte d'Artois, urging him to marshal military forces to come to her brother's aid. The letter was intercepted by the National Assembly and they began to regard Élisabeth with new eyes though even now her fate was not quite decided. Further opportunities were presented for Élisabeth to leave the family and go to safety with her aunts yet she elected instead to join the ill-fated flight to Varennes, in the guise of a nursemaid. When the escape was thwarted she was returned to Paris with her family, providing much needed moral support as their situation became more desperate. Following the Insurrection of 10th August 1792, she was imprisoned in the Temple Tower with the rest of the royal family. 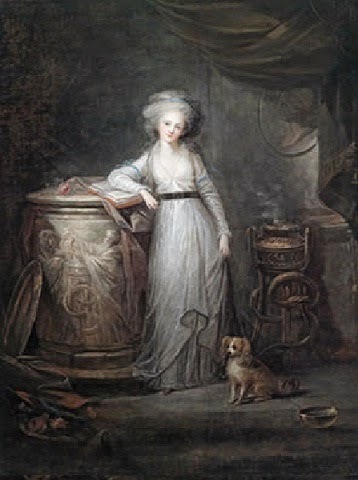 Élisabeth and her niece, Marie-Thérèse remained with Marie Antoinette until she was transferred to the Concierge on 2nd August 1793 and were never told of her death. The final letter written by the queen was addressed to Élisabeth but never reached her. Held in the Temple with the teenaged Marie-Thérèse, Élisabeth provided her niece with moral support and comfort, a familiar and friendly face at what must have been a terrifying time for the young girl. Élisabeth presented something of a problem for the new administration and initially they hoped to exile her from the country yet it soon became apparent that she was not willing to go quietly. Accused of aiding her brother's escape attempts, she remained defiant at her trial and spoke passionately to the Tribunal in support of her family and the monarchy. There was no question of what the verdict would be and she was duly pronounced guilty and sentenced to death. The Princess was one of two dozen prisoners who were condemned to be executed on the same day and as she waited for her turn on the scaffold Élisabeth provided support and prayers for those who were due to die alongside her. Élisabeth mounted the steps to the scaffold with dignity, showing no fear to the crowd that had gathered to watch and following her death she was interred in a mass grave at the Cimetière des Errancis. Following the Restoration, Louis XVIII attempted to recover her remains but they were unidentifiable. Instead, the Princess is remembered with a memorial dedicated to her name in the Basilica of Saint Denis. Definitely such a stoic character. Not the best time to be a staunch supporter of the monarchy. Imagine how different her life would have been if she had accepted the offer of foreign marriage! What a terrible end to such a devoted and noble sister. Such a terrible end to such a noble and devoted sister. I think so too; she seems so dignified.